Do you know when to visit a primary care doctor, an urgent care clinic, or the emergency room? Many people aren’t sure about when to wait for an appointment, and others are confused about the differences between urgent care clinics and emergency rooms. In today’s post, we’ll explain a few of the most common reasons why you may need to visit an urgent care clinic. Hill Family Medicine serves Bee Cave and the surrounding areas with preventative and urgent care services, as well as routine primary care services. We would love to welcome you and your family into our practice — request an appointment through this page! The edges of the wound cannot be easily pressed together. The wound is a bite. The cut was caused by a rusty object. Remember that urgent care is not the same as emergency care. If you or someone you know has sustained a serious cut that will not stop bleeding, then call for emergency services or go straight to the emergency room instead of urgent care. Your fever is more than 105 degrees Fahrenheit. Your fever has been more than 103 degrees Fahrenheit for more than 48 hours, or the temperature is increasing. You are experiencing a rash, difficulty breathing, unexplained bruising, and/or pain while urinating. Scheduling an appointment at our Bee Cave urgent care clinic allows you to get the fever treatment you need without waiting for an appointment or paying an exorbitant amount of money to visit a hospital. At Hill Family Medicine, we know that it can be difficult to discern the difference between the common cold and a sinus infection. If your symptoms are worsening with time, or if you don’t want to wait for an appointment, then visiting urgent care is a good idea. Some people develop sinus infections periodically throughout the year, and if you find yourself in this situation, then it’s likely that you will still benefit from a visit to urgent care. 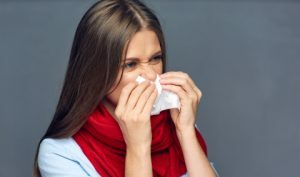 If you know that you typically get sinus infections in the spring, for instance, then you can let the staff know about your medical history and begin a round of antibiotics before the symptoms become more life-disrupting throughout the season. A sore throat can be caused by a number of different conditions, but if you are in continuous pain or you are experiencing a sore throat in conjunction with other symptoms, then visiting urgent care for a strep check may be a good idea. Though strep throat is much more common in children than it is in adults, it can be highly contagious, making it important to get treatment as soon as possible. Even if you do not test positive for strep, you can get the treatment you need without waiting days for an appointment. Do You Need Urgent Care in Bee Cave? We hope that today’s entry will help you determine if you could benefit from visiting our urgent care clinic. We know that it can be difficult to determine if your specific circumstances demand immediate attention, so please give our office a call if you would like to speak with a member of our staff. We plan to continue this series in future posts, so be sure to bookmark our blog page and check back frequently for the latest posts. Hill Family Medicine is here to provide you with the affordable, compassionate care you and your family deserve. Fill out the form below or visit this page to request an appointment!